This letter was written by Charles A. Legg (1840-1921), a soldier from Auburn, Worcester County, Massachusetts. He was the son of William Lysander Legg (1814-1889) and Emma Augusta Howard (1821-1888). After the war, Charles married Alice Letitia Haleyn (1836-1897). 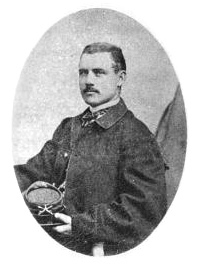 Charles enlisted in Company B, 3rd Massachusetts Rifle Battalion, in May 1863 for three months. In September, 1861, he re-enlisted in Company C, 1st Massachusetts Cavalry. He was promoted to Corporal in August 1863 and to Sergeant in May 1864. He was mustered out of the service in January 1865. When Charles wrote this letter, elements of the 1st Massachusetts Cavalry were engaged in fighting at South Mountain west of Frederick, Maryland, just two days before the deadly Battle of Antietam. Most of the unit had been guarding the Cumberland Canal for the first couple of weeks in September following a 17-day sea passage from Hilton Head to Alexandria. The toilsome passage left many of the men — and particularly their horses — in no condition to wage war with Lee’s invading army. In these lines, scribbled to his parents from Frederick, Maryland, Charles probably captured the sentiments of most Union soldiers after witnessing setback after setback, leaving him to “tremble” for his country’s fate. 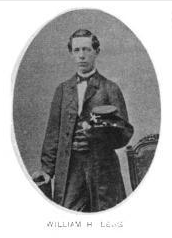 Charles’ younger brother, William Howard Legg (1841-1863), also served in Company C, 1st Massachusetts Cavalry. He died on 9 February 1863 at Potomac Creek, Virginia. I have an opportunity to send this letter so I will write you a few more lines to inform you where I am. We left our picket post on the [Cumberland] Canal yesterday and marched to this place 25 miles. We arrived here just as the church clock was striking eight o’clock. How familiar it did sound. It is the first one we have heard for nearly a year. It awakened many pleasant recollections, I assure you. All I can say is we are here. How long we shall be, I don’t know. We have been fighting for 3 days. We are told that we are whipping them badly. The fight is amongst the mountains. It is just one week ago since the Rebels passed through this place. They took everything they could lay hands on. I have not seen [my brother] William as yet but they say he is near here. I hope so. I want to see him badly. This is a pretty place of 10,000 people but I must close hoping that you will write soon. Direct to Washington D. C.
If you could enclose half a dozen postage stamps in your next, I should be much pleased. I tremble for the future of our country. Look at what past things have arrived through the treachery and imbecility of our commanders, our splendid armies of Virginia & the Peninsula have been surely retreating until now we are once more told that they are where they are now considered safe, under the protection of the thirty forts that surround the Capitol, and who is to blame for our defeat in Virginia? Pope was put in command. He issued high-sounding orders &c. In fact, he went up like a rocket and come down like a stone and we are told he has been released from his command here and sent to one in the West. He should have been sent to the Devil! Another villain is McDowell. [Our] government kept him in command until his treachery could no longer be concealed, then he is relieved. Oh, how long will this state of things be permitted by the People. Why will they not rise in one voice [and] say that there shall be but one policy, one aim in view, and that [being] the speedy settlement of this struggle. How long — Oh how much longer — shall Whiskey, red tape, and politics rule? Will the northern people wait until Washington is taken or the free states invaded? Or will they look into this thing before we are informed here (but I don’t know how true it is) that the Rebels have invaded Pennsylvania and also that they have blown up the arch bridge on the railroad at the Relay House near Baltimore. Perhaps it is the only thing that will wake up the North — to invade it. If it is so, I hope it will be done quickly. Something must be done soon or to the Devil we go. I should like to say more but I have not time today. This entry was posted on Wednesday, March 26th, 2014 at 3:58 am	and posted in Uncategorized. You can follow any responses to this entry through the RSS 2.0 feed.